Don Bailey and Barbara McGill Menefee — Live performance at SMU in Dallas in 1983. 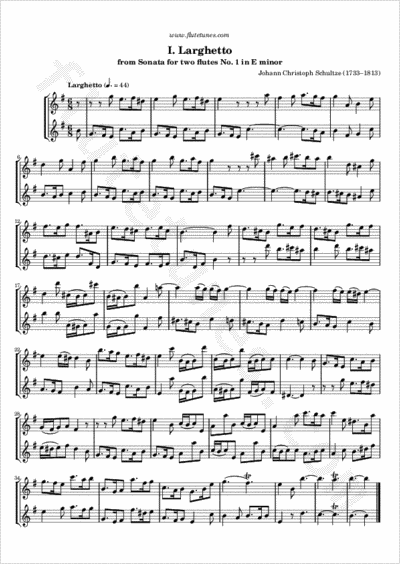 This Larghetto is the opening movement of a Sonata in E minor for two flutes or recorders by a German composer named Johann Christoph Schultze. This is not to be confused with the apparently unrelated composer of the same name who was born in 1733, as this sonata was first published in Hamburg in 1729. Thanks to Anna for suggesting this piece!